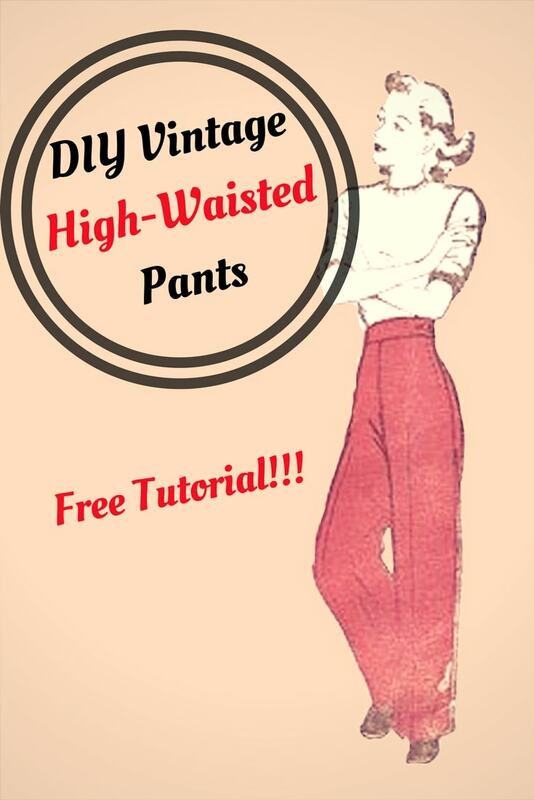 I’m so excited to show you this tutorial for DIY Vintage High-Waisted Pants! 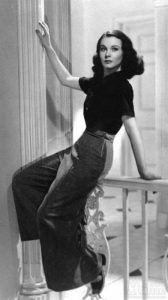 I’ve been swing vintage-inspired blouses lately and my wardrobe was in serious need of high-waisted pants to pair them with! There is nothing more feminine, comfortable or flattering to your curves than well-tailored high-waist pants. You can wear them on any occasion, pair them with an elegant blouse, casual cardigan or a smart jacket. Play around with different materials to convey different styles. 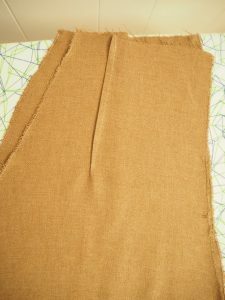 I’ve used light-weight twill for my (first) trousers. I’m absolutely in love with this material. It’s warm, irons easily, doesn’t crease and falls over the body in a lovely manner. 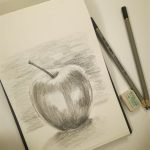 Here are some pictures that have inspired me to make this tutorial. STEP 1 – Drafting your pattern. All you need for this step is a pair of your favorite trousers. 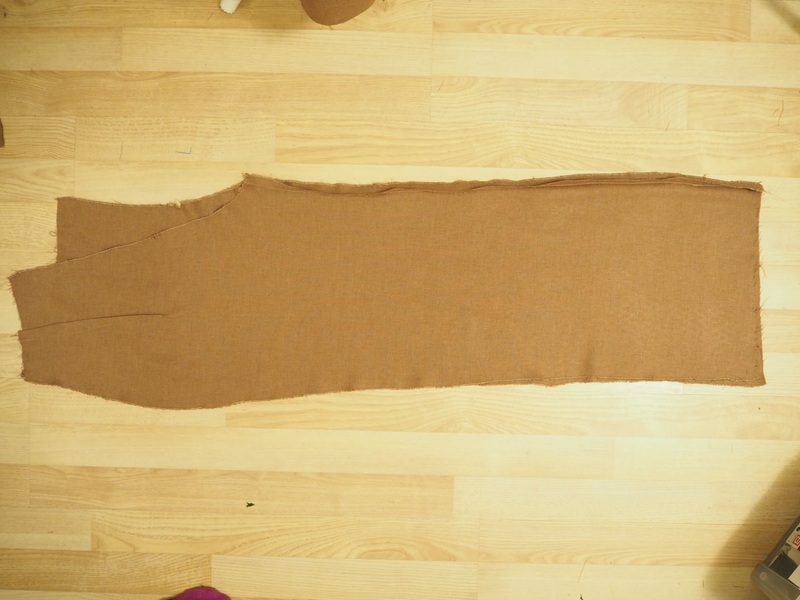 The better the fit of the trousers you pick at this stage, the easier it will be to make the new pair. 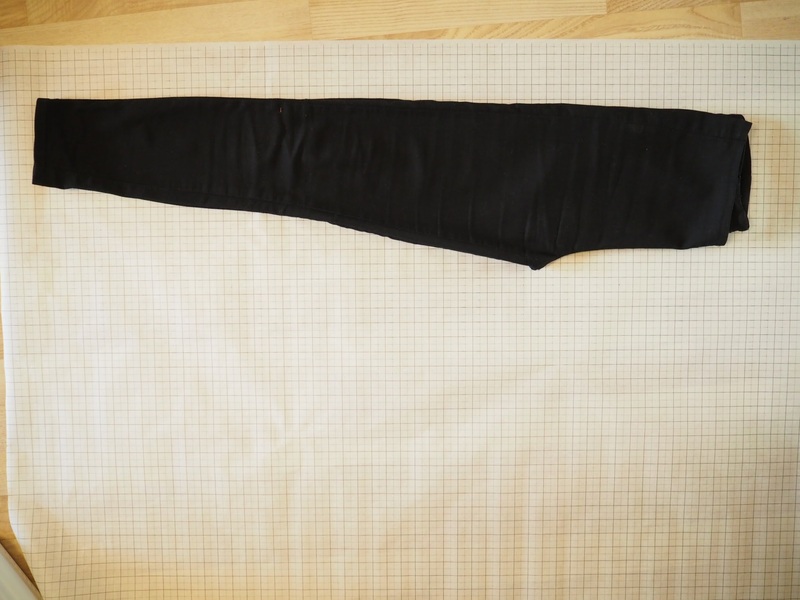 Fold your trousers and lay them out on a pattern making paper. First, trace the front of your trousers and then the back. You have a basic tousers pattern now. In order to achieve the high-waisted look, you need to put on your pants and then measure the distance between the top of your trousers and your natural waist. My pants come with a 2 cm wide waistband, so this 2 cm (or more if you want a wider waistband) need to be subtracted from the measurement you’ve just taken. I also added darts both on the front and the back of my trousers. 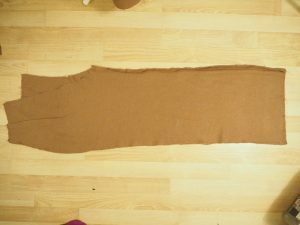 I’ve put them right in the middle (1 cm wide) and extended them till around the middle point between the waist and crotch. 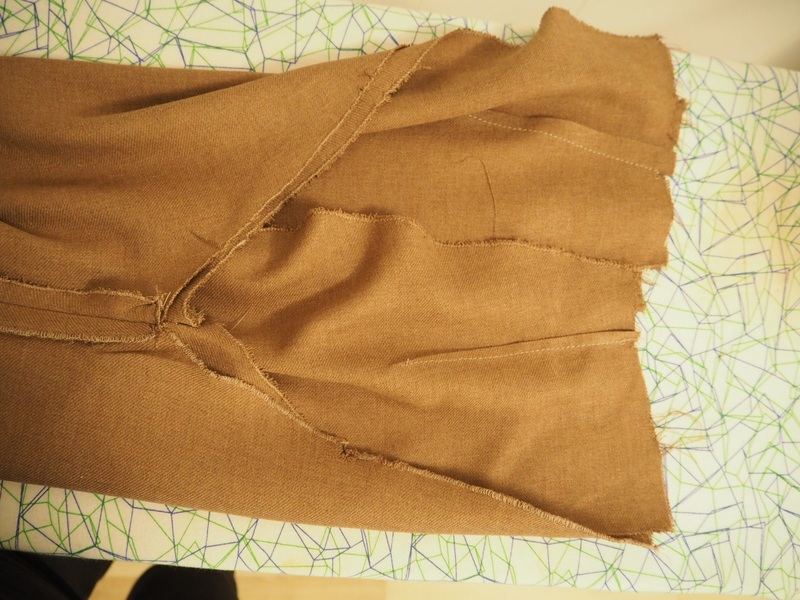 The pant I used for drafting were slim-fit, so I extended the legs by adding 5 cm on each side and then connecting it to the top of the trousers. 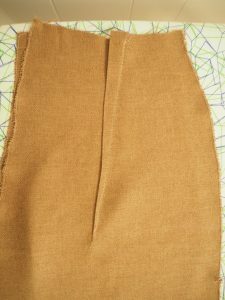 The waistband is the easiest piece to draft. 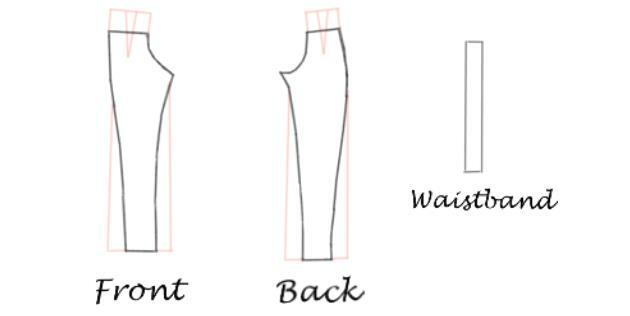 Take your waist measurement + 1 cm for ease + 3 cm of seam allowance (length). The width of my waistband is 2 cm, so I have to take 2 cm x 2+3 cm for seam allowance. Once you’re done drafting you should have these 3 pattern pieces. Pin your darts by folding the material right sides together and matching dart markings. Stitch in place. Iron the darts on the back pieces towards the crotch seam and darts on the front pieces towards side seams. 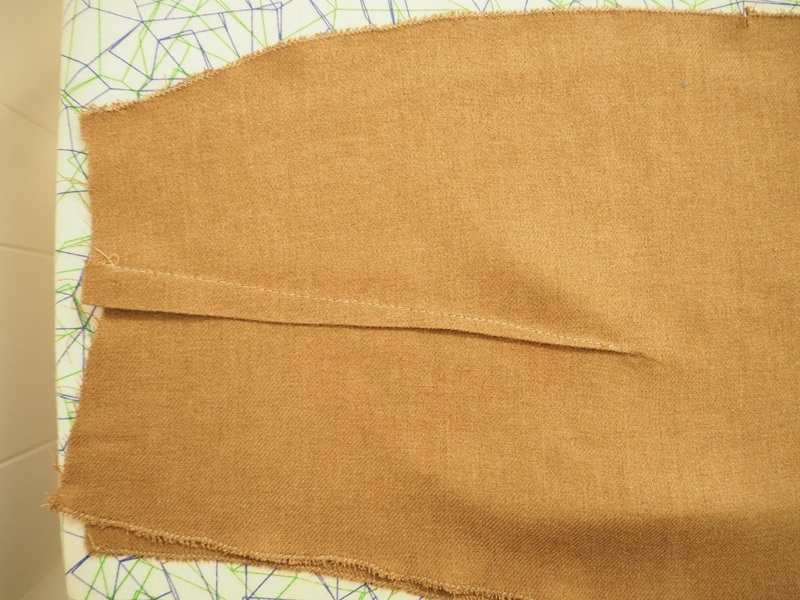 Put front and back legs right sides together and match the inner seam. Stitch together. Then match side seams together. Stitch the right leg from the bottom all the way to the top. Then, mark on your left leg the point where sie zip will start. Stitch from the bottom all the way to the marked zipper point. Turn one leg right side out and slip it inside the other leg. They must be right sides together. 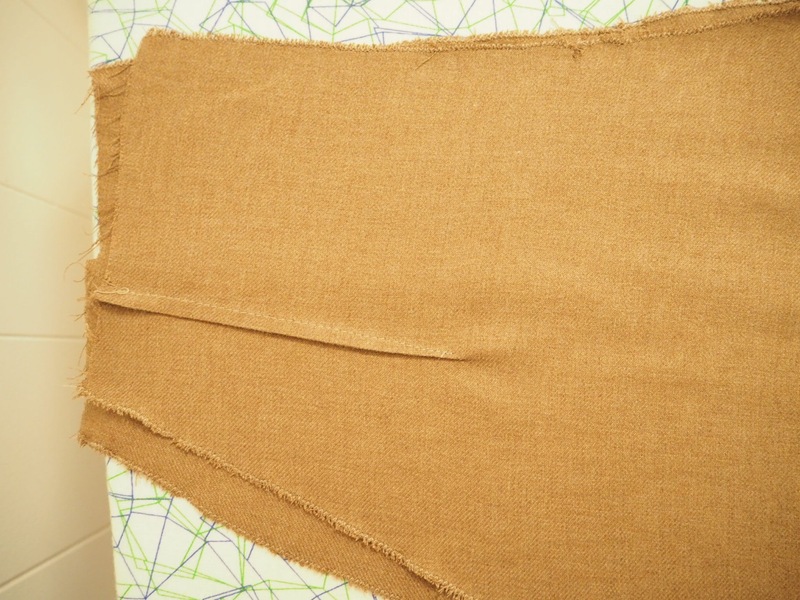 Match the crotch seam carefully, pin and stitch in place. This is a good point to stop, put on your trousers and see how they fit. Once you are happy with the fit, you can proceed to attach the lovely waistband. I could describe the process for you, but while making my trousers I came across a video by Sew it Over that shows the process in easy, understandable steps. 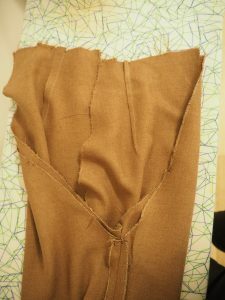 The video covers how to attach the waistband and an invisible zipper. You should definitely check out their blog and YouTube channel for more awesome videos and tutorials. I am a big fan of theirs! Make a simple double – fold hem and ta-da! Your pants are ready!!! 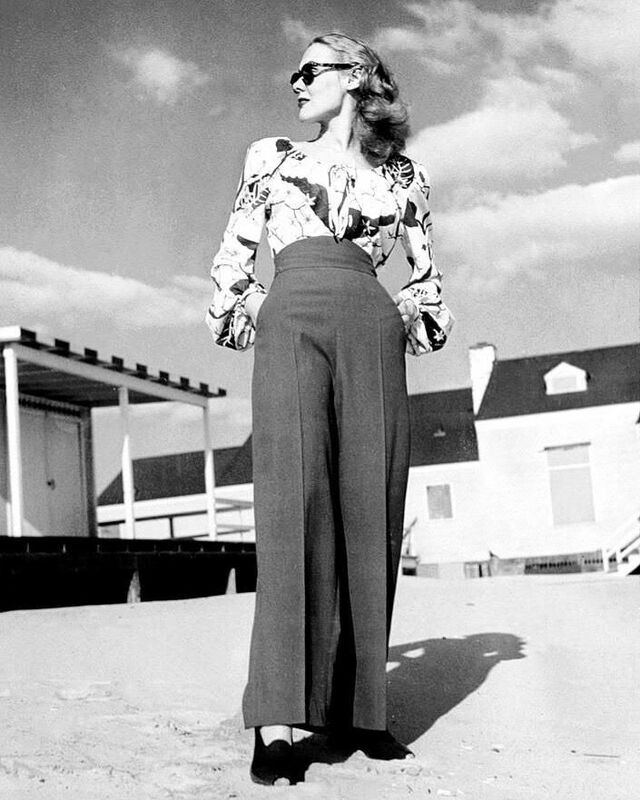 I’m wearing my new pants with a vintage-inspired blouse with a bow. You can learn how to make it in this post! 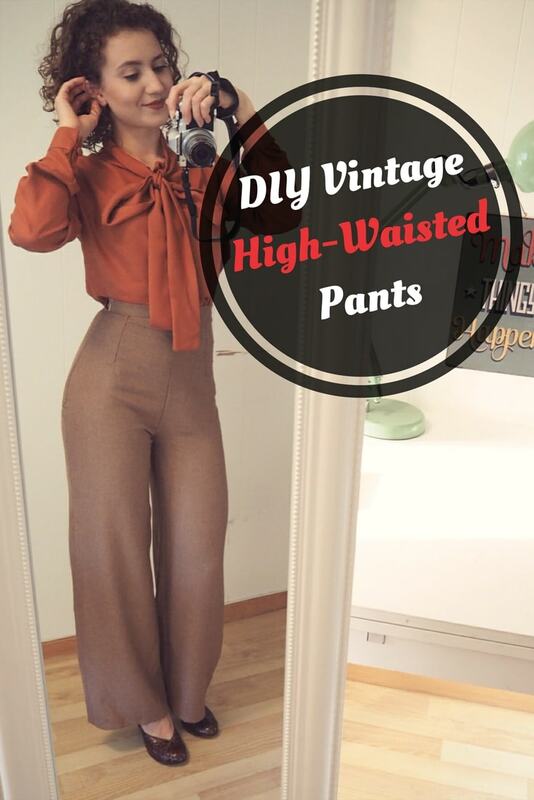 Would you like to make your own high-waisted vintage pants? Please let me know in the comments and save this tutorial for later! I had 2 pairs of these in the 70s. They were so elegant that I only wore them for dress up. Wear the pretty clothes, girls. Yes I would love to make a pair. Beautiful pants! 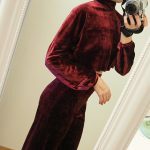 I’ve been wanting to make a pair of high waisted trousers for ages and recently tried and failed – this tutorial should be a huge help!! Thank you so much! Hi Emily! I am quite eager to see the pair you make! The first pair I made was a total fail too! I don’t even know how did I do it, but I somehow managed to make two left legs 😀 I had to rip the seams apart twice! 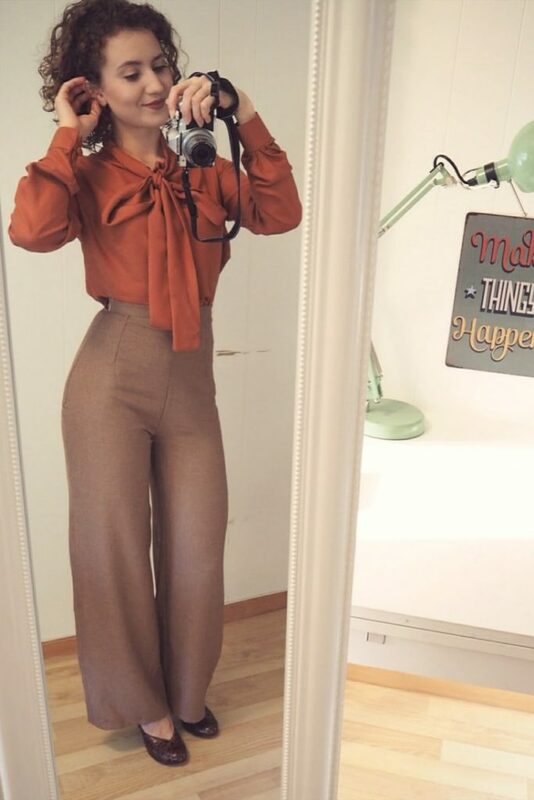 I’m so curvy in the hips and high-waisted pants are one of the most beautiful fits for my figure I’m definitely going to be scouring the perfect fabric and making these soon ❤️ I love the blouse too. You look fabulous. how many centremeters should you add for the dart?